I often get questions about BeerSmith and how to get the most out of it when brewing. 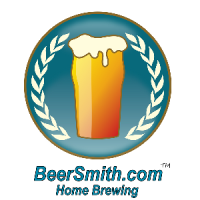 BeerSmith 2.2 with its cloud features and tight integration with BeerSmith mobile has been very popular with home and professional brewers. So this week, I thought I would share a few tips for users of BeerSmith 2.2. Create a Good Equipment Profile – While the sample equipment profiles in BeerSmith provide a good starting point, the truth is that each brewer’s equipment setup is different, and each person may have different losses. The best way to get an accurate equipment profile is to create your own after measuring your actual brewing volumes and losses, and then adjust it slightly if needed to “dial it in”. There is a good video tutorial on creating equipment profiles on my video tutorial page – which also shows you how to use most of the features in BeerSmith! Research Your Recipes – When building a new recipe, I always use the BJCP style guide, which is default style guide included with BeerSmith. It provides a good overview of the critical range for OG, IBUs, ABV and color as well as a description of taste and basic ingredients. However, now that we have thousands of recipes available on the BeerSmithRecipes.com cloud, I like to use the cloud for research as well. Go to the View->Cloud Search menu item and you can find recipes to brew or use as examples when designing your own recipe. I try to find a few good highly rated examples and look at the ingredients and proportions used. Use the Add-Ons – BeerSmith desktop has an “add-on” feature where you can find and download new grains, hops, yeasts and recipe packs. All you need to do to use it is click on the Add-ons button (on the lower toolbar) while connected to the internet. The first dialog will show the currently installed add-ons, but by clicking the add button from there you can view and install new add-ons directly. Mix Up Your Units – Brewers outside the US often have to deal with a mixed bag of metric and English units. While many of them use metric for their local brews, a lot of the brewing literature and recipes are published using English units. What many people don’t know is that on the desktop version you can enter units with your numbers in any field. For example, entering “3 kg” into an English weight field will automatically be converted, and putting “5 lb 3 oz” into a metric field will convert it to kilograms. You can also adjust your native units items are displayed in from the Options->Units dialog. Share Your Recipes – One of the main reasons I built the cloud service and integrated it with both BeerSmith and BeerSmith mobile, was to allow the brewing community to share recipes. Once you have created a cloud account by going to BeerSmithRecipes.com you can copy/paste any of your recipes into your Cloud folder on both the mobile and desktop version, and from there you can mark the recipe as shared (all recipes are private by default). Shared recipes are available for anyone to rate, view, download and use – and really help grow the home brewing community. Hopefully these tips will help you out – if you have a few BeerSmith tips of your own, feel free to leave them in the comments section below! Thanks for joining me on the BeerSmith Home Brewing Blog. Be sure to sign up for my newsletter or my podcast (also on itunes…and youtube…and streaming radio station) for more great tips on homebrewing. Also check out the How to Brew Video series I shot with John Palmer if you want to learn more about all grain brewing. Good tips! Beersmith is very powerful no doubt. Once I got my equipment profile accurate, it made making recipes so much easier.